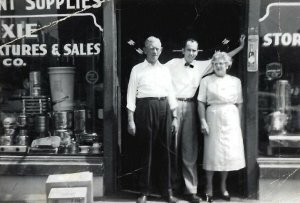 Since 1921, Dixie Store Fixtures & Sales Company has been owned and operated by the Cypress family. From humble beginnings, we have grown to become a respected member of the Birmingham business community as well as the foodservice equipment industry. We value each customer and work to build mutually beneficial relationships. Today, we uphold the values established by our Founders and honor their memories through honest business practices and fair dealing.